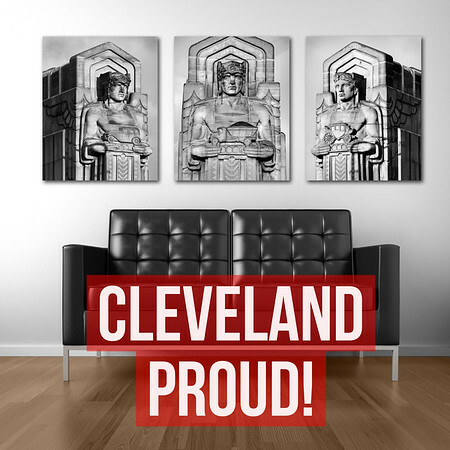 Looking for that perfect gift for the holidays to surprise your special Cleveland Lover? Look no further! 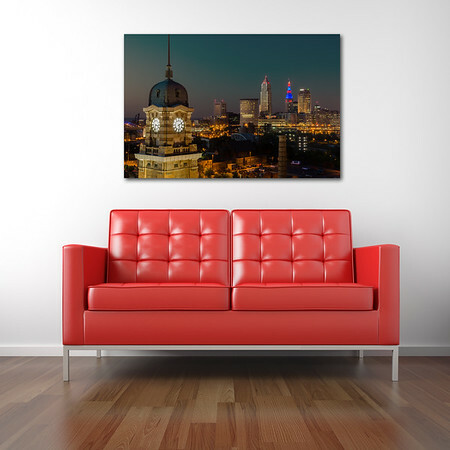 Our fine art prints are sure to amaze that special someone! Choose from our dazzling Metal Prints, Snazzy Acrylic Prints and Traditional Photographic Prints. 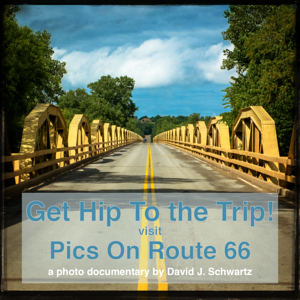 Or visit us during art walk or call for an appointment to choose from out limited edition artist printed and matted prints. 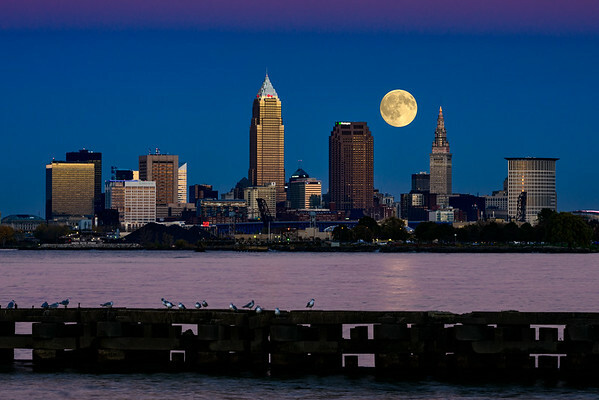 Cleveland Skyline at dusk shot from Perkin's Pier, near Edgewater Park. This image was shot one day before the perigee-syzygy or Supermoon of November 2016 in order to capture the light of dusk on the city. The day of the supermoon, the moon rise was too late to capture the beutiful afterglow of sunset. 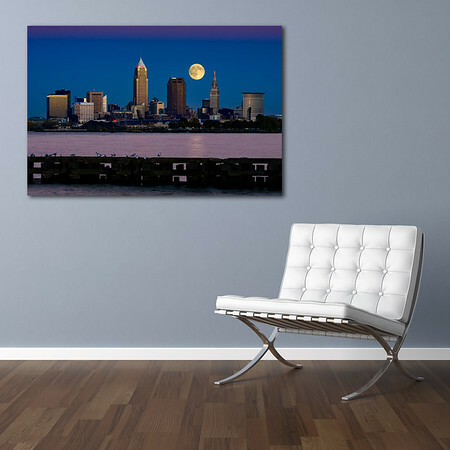 A beautful view of Believeland at dusk in amazing breathing color! . The Guardian's of Transportation are Art Deco pylons that grace The Hope Memorial Bridge in Cleveland. The bridge was renamed after local stone mason William Hope (Bob Hope's father),in the 1980s. There are 8 sculptures total on 4 pylons. Created by sculptor Henry Hering and architect Frank Walker. 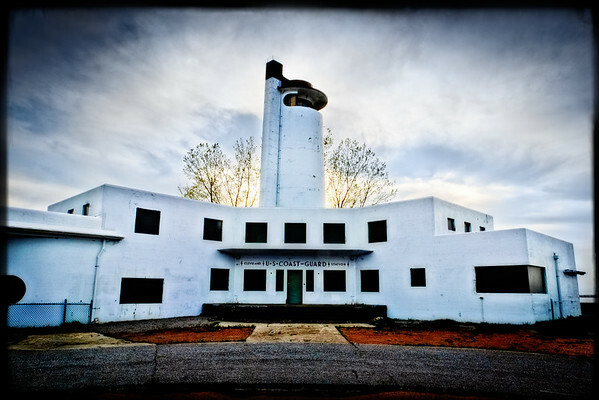 They were completed in 1932. Formerly, The Lorrain-Carnegie Bridge. These images are beautiful as a single but make a huge impact presented as the Tryptich that they were intended to be. 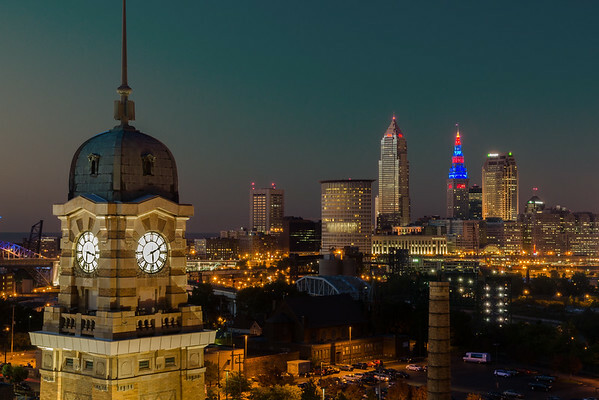 An Amazing Skyline View of Hot Cleveland featuring The Westside Market Tower. 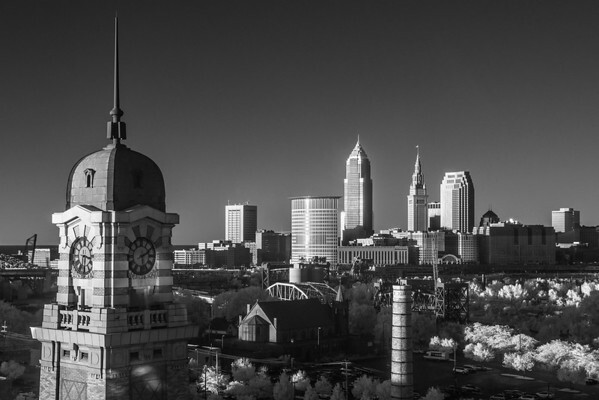 This Black and White image was shot in Infrared Black and White during the golden hour.